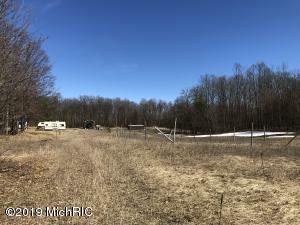 This 20 acre parcel of land has 660' frontage on US 10 in Chase just 4 Miles to US 131 if you are looking for a spot for a commercial building or just want a spot to set up camp. Lots of year around outdoor activities are available in the area. The property is nicely wooded and the power line cuts through the property about a third of the way back and then there are lots of woods to explore. 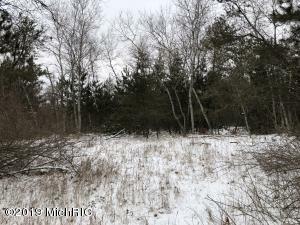 This nicely wooded 15-acre parcel is located just South of M-55 on Warfield Road. There is a small shed on the property and a clearing ready to park your trailer. 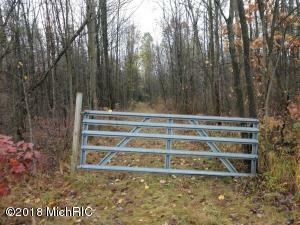 The property adjoins 100's of acres of Federal Land on the West and East sides of the property. 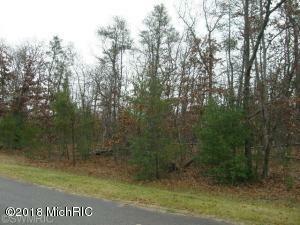 Great spot for your hunting or fishing headquarters with Tippy Dam on the Big Manistee River just down the road. If you like to kayak, then you will enjoy the proximity to the Pine River at Peterson bridge and Low Bridge. Take a look now just a few places back here. This heavily wooded 18 acre parcel of land is loaded with red pines, white pines, blue spruce and some hardwoods. There are several open meadow areas which would make great building spots or nice food plot areas. With a little tree management you might have a good little investment in these trees. Electric is at the road. Bring your camper and set up camp if you want until you build. It might also be a good spot for your small business since it's in the Village of Free Soil. 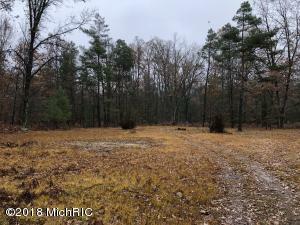 This 10-acre parcel is less than a mile away from Hodenpyl Dam on the Big Manistee River with some great fishing in the Hodenpyl Backwaters. 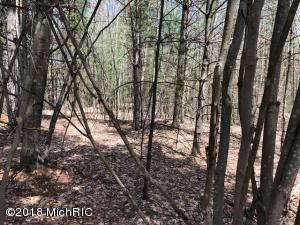 The property is wooded and has a nice winding trail to the back of the property which has some open area and is all set up for camping. 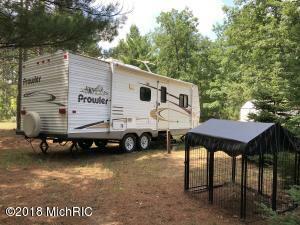 Included in the sale is an older Prowler 5th wheel camper, a 12'x20' barn and a 16'x40'x14' roof over that could be used for your camper or boat storage. The power is just down the road. 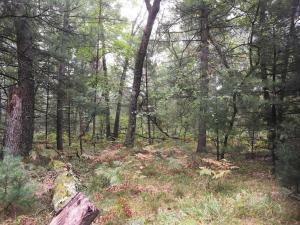 Great recreational spot to set up camp and fish the Hodenpyl Pond or the Big Manistee River. Just minutes to Mesick, Thompsonville, Crystal Mountain, and Traverse City if you want to do some shopping or wine tasting!! This 1.18-acre parcel of land is located on county-maintained road just down the road from Sand Lake, the Dublin Store and 100's of acres of Federal Land. Also included in the sale is a 2004 - 27' Fleetwood Prowler Travel Trailer with a large expand. It's furnished right down to the pots and pans. There is a picnic table all step and a dog kennel to bring the furry family. There is an electric pole all set up, so you can plug right into it and a night security light. There is a 2'' well wi pump in the shed. You can ride your ORV and snowmobile right to the trails! Great start to some ''Up North'' fun!! REDUCED $25,000!!!!! 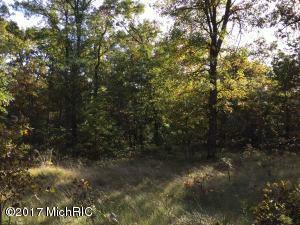 Wooded 2.5 acre parcel with approximately 165 feet of road frontage on a county maintained unpaved road. This buildable lot already has a gated driveway in place through the parcel. Plenty of space on this lot for extra seclusion for your new home. Conveniently located in close proximity to Muskegon, Grand Haven, and Grand Rapids. 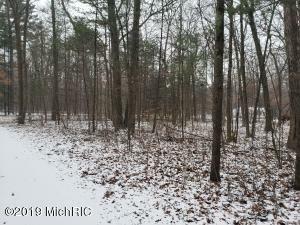 Looking for a great deal near Little Manistee River, Big M Cross Country Skiing and Biking Trails and near thousands of acres of the Manistee National Forest? Don't pass this one up. 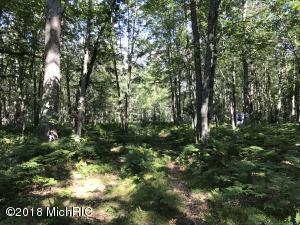 This lot is within walking distance to Nine Mile Bridge and the Little Manistee River for kayaking, Steelhead and Salmon Fishing. 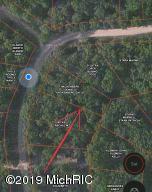 This wooded, private lot is just over 1 acre in size making it an ideal location to build that Up-North get away. 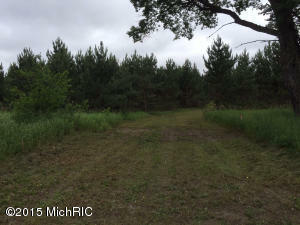 Lot has 183 feet m/l of county maintained road frontage. Whether you snowmobile, ski, hike, bike, kayak, canoe, hunt or fish, this property puts you in the center of it all. Just a short drive to Manistee for supplies! Survey and Plat available. 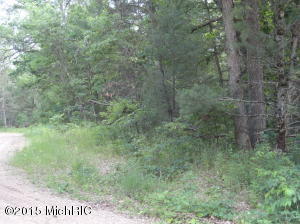 Secluded Acreage This 4+/- acre is highly secluded adjoins Federal Land. It is accessed off a forest service trail. Mature trees ideal for hunting use. 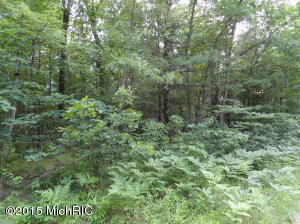 WOODED LOT IN A GREAT LOCATIONThis large wooded corner lot is located close to the Big Manistee River and ORV trails. It's just around the corner from the Sand Lake Recreation area and the Dublin Store - a great piece of land for your new ''up north'' cabin! Restrictions apply.